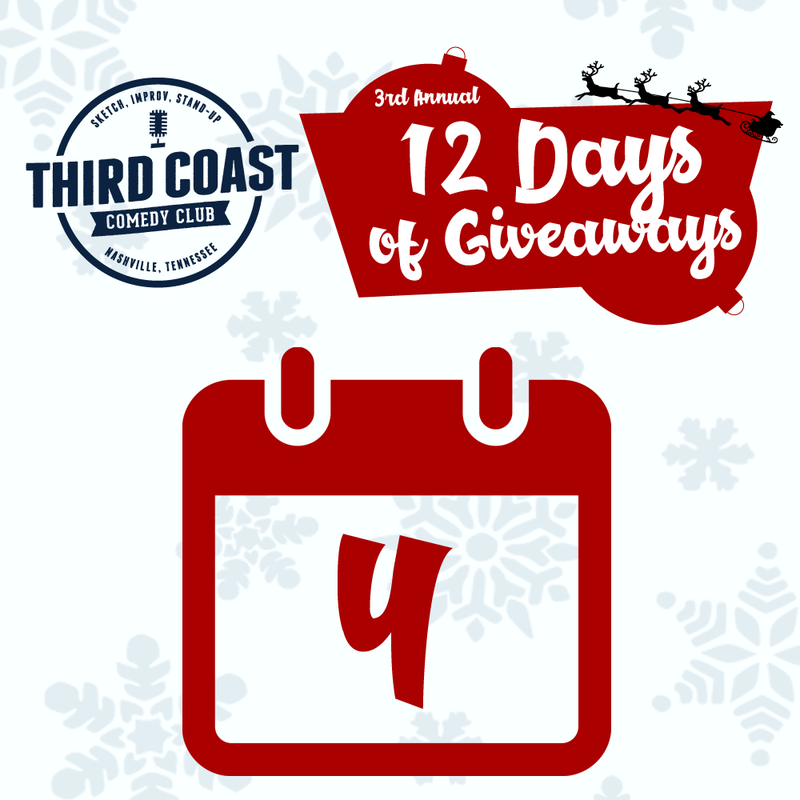 The 3rd Annual Third Coast 12 Days of Giveaways is back December 6th-17th! Visit facebook.com/thirdcoastcomedyclub for your chance to win a new gift every day! One entry per day per person. Void where prohibited. No purchase necessary to win. ​Free Season 8 Pass to EVERY SHOW FOR FREE!